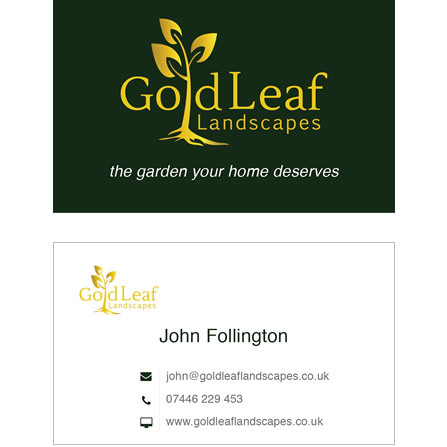 Below are some examples of my work, including websites, mobile websites, business stationery, games and logos. If you would like to learn more about my technical skills and working background, please visit my about page or please read my client testimonials. 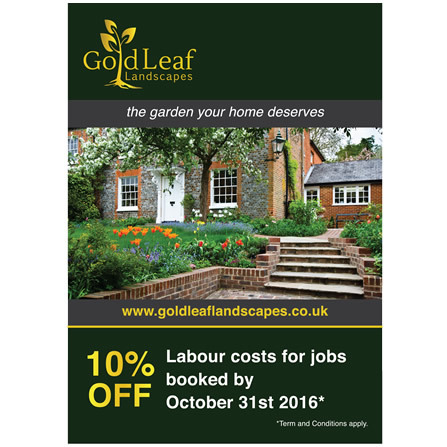 Of course, should you have any enquiries, feel free to get in touch anytime! 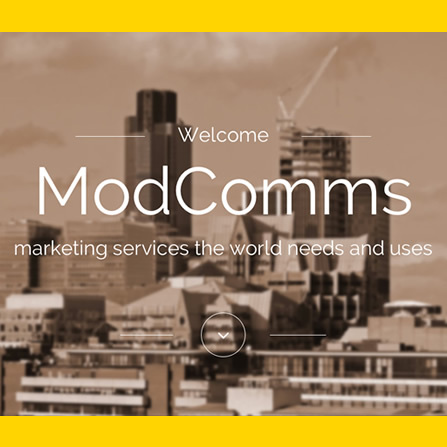 As a key supplier of web development services to London Based Digital Agency ModComms, I was contracted to produce their current website. It's key requirements were: responsive to browser sizing / mobile devices, wordpress blog-feed of latest posts to core site, utilised the Isotope portfolio gallery, and a custom wordpress blog. 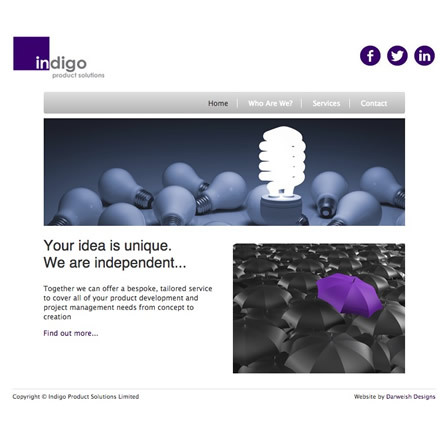 The website was produced in the parallax format, encompassing all of the services that the agency offers. It was imperative that the Themeforest pre-purchased HTML 5 framework be converted to Joomla Template Code for client update. 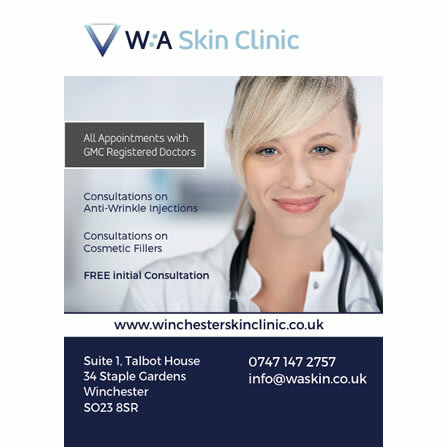 W:A Skin approached Darweish Designs with the wishes to set up a websites for the upcoming launch of their Winchester based Skin Clinic. It was suggested that a clean design was used with aims of portraying the physical environment in which treatments would take place in. 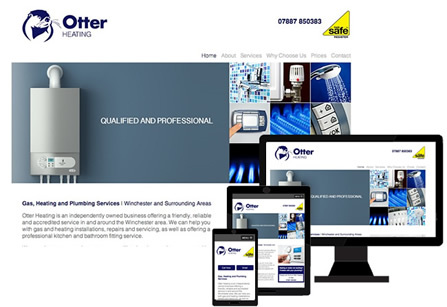 The website benefits from being mobile phone and tablet responsive and features include a blog system that auto populates their business Facebook page, interactive drop FAQ drop downs and soclal network integration and slideshow. 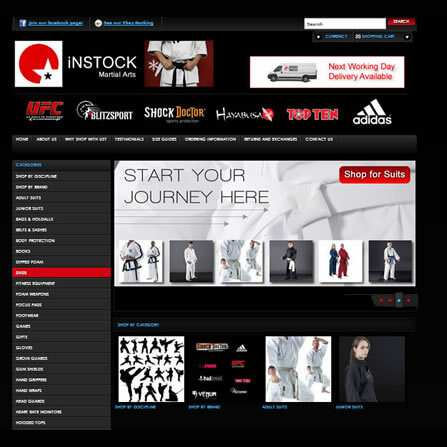 The 2014 version of the Instock Martial Arts website is powered by the Shopify E-Commerce Platform. It utilises numerous plug-in apps in enhance user experience and benefits from a custom built stock management system that allows for accurate stock management across their large inventory of sporting goods. 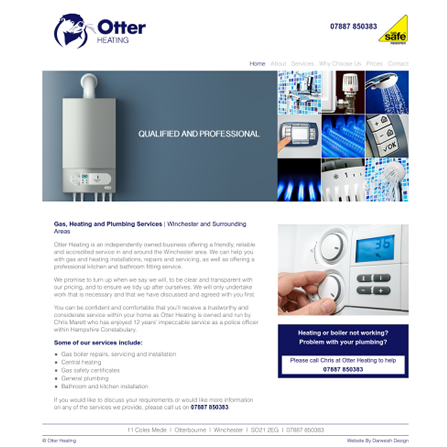 Based in Otterbourne, Winchester, start up plumbing and central heating business, Otter Heating contacted Darweish Designs to design and build their new website. 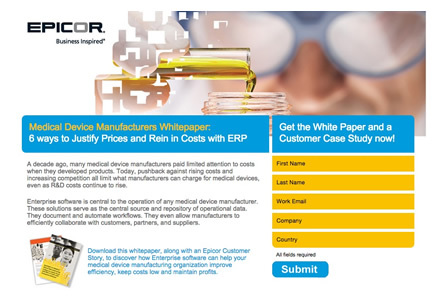 They requested a mobile device friendly website that supported both tablets and smartphones. In 2015, Long-term client Create Fitness, will be launching a series of national open water swimming competitions. 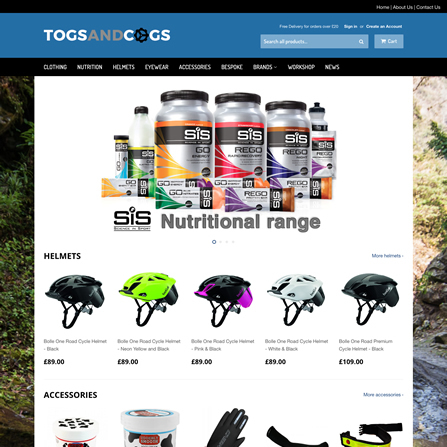 The new website offers users full race booking facilities and device responsive layouts. As races take place next year, the content managed website will allow for easy update of race times and series winners. Pod Utopia approached Darweish Designs with a view to produce a brochure site to advertise their range of custom Garden Pods. 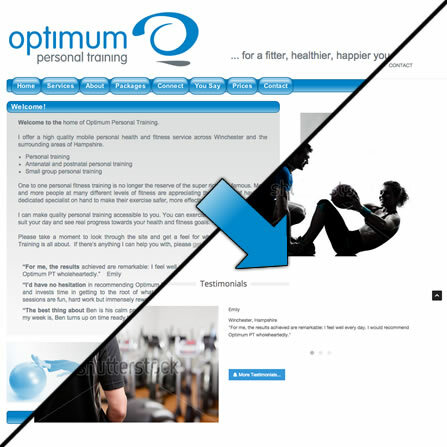 On this occasion Pod Utopia had actually designed their own layout, however need help with the website build, video integration and website mobilisation. The website also benefits from a news blog that automatically posts to facebook. Long-term client Create Fitness of Bristol, returned with the request to build a booking system that could meet with the high demands of personal trainers nationwide. Once sucessfully built, clients and trainers alike can register and subscribe to CreateBookUp and take advantage of the bookng conveniece it offers. Clients can scroll their favourite trainers availabilty via timeslots, purchase sessions via paypal or credit / debit card. Trainers can even award their clients CreateBookUp session credits allowing for easier block booking purchases. 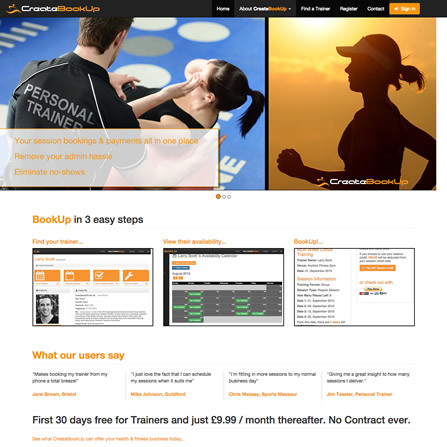 Create as per usual were delighted with their new booking platform, saving them hours in administration and avoiding missed payments and sessions. 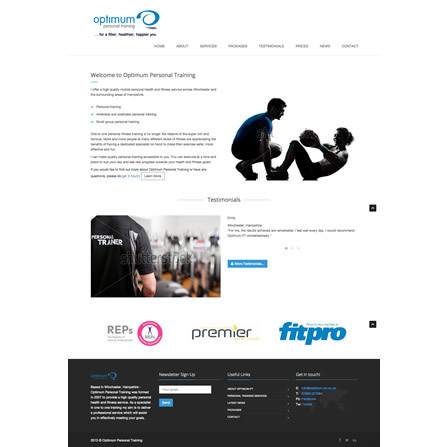 Based in Winchester, Ben Gillings of Optimum Personal Training approached Darweish Designs with request of having his existing website redesigned. Armed with knowledge of Google's change in the algorithm (requiring website provide a mobile friendly version for tablets and smartphones), Ben was keen to have his converted to mobile format. The resulting site was developed using the twitter bootstrap framework and provided content control using Joomla's Content Managment System. 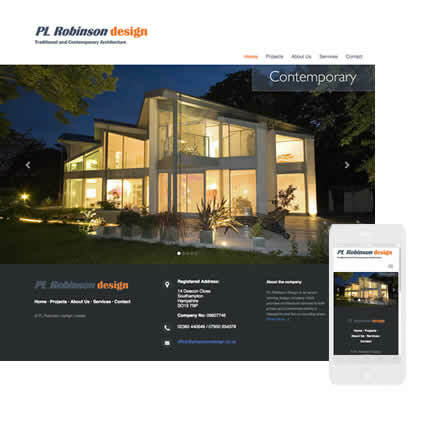 Having been a director of a Winchester based architectural company for the 13 years, Phillip Robinson set up PL Robinson Design Limited. 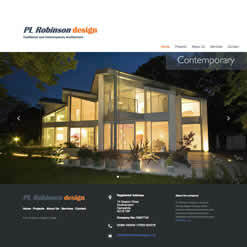 Phillip approached Darweish Designs to design and develop his new company website. The aim of the site was to portfolio the range of projects Phillip has been involved in over the yearsand attract new buiness. 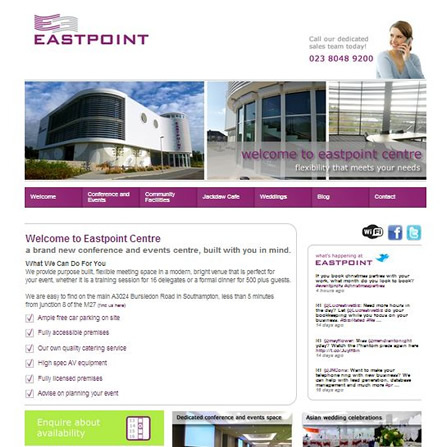 The resulting site was developed using an flamboyant gallery and optimised for mobile devices. 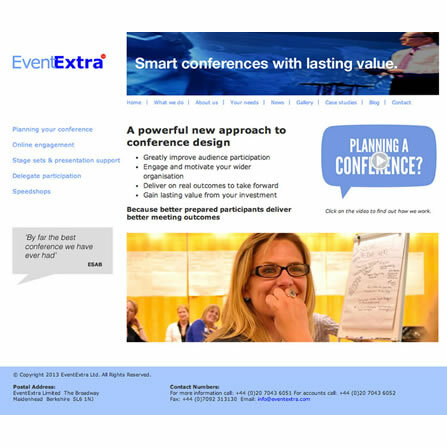 EventExtra, a London based events management company, approached me to redesign their corporate website. They wished for clear cut, professional site that worked well with their current promotional material. Working with their marketing team, they requested embedded videos samples, lightbox style galleries, new blog and animated banners. It was also a requirement that the website be built upon a content management system. 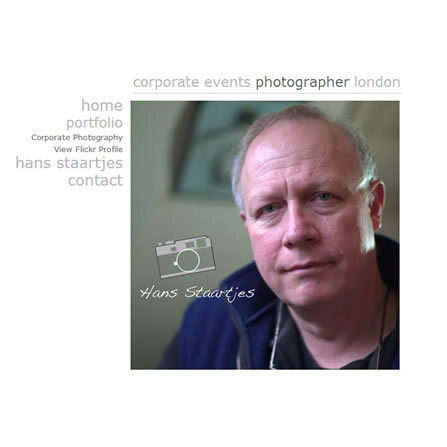 Hans Staartjes, a professional corporate events photographer, had requirements of a new portfolio website. 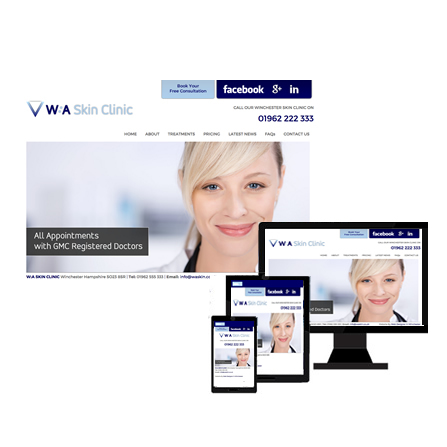 The client was familiar with working with Adobe Lightbox and wanted to use this to manage the websites gallery feature (due to the necessity to display photographs in an optimum fashion). The website was built with a content management and separate file directories to allow for FTP of galleries developed in Adobe Lightbox. 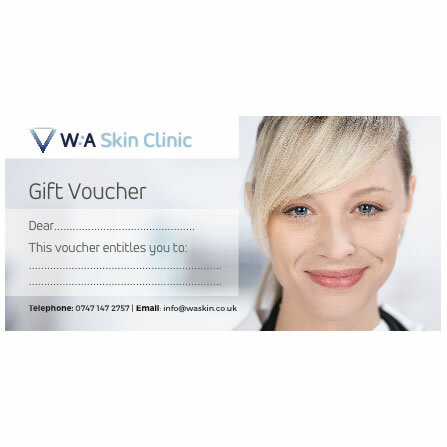 The client also required the ability to provide his clients with their own password protected photo gallery areas, in order to personalise his service offering. A wordpress blog was also developed. 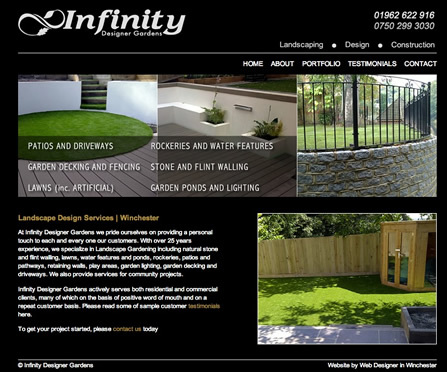 As experience landscape gardeners, Infinity Designer Gardens approached Darweish Designs to produce a static brochure website to promote their Winchester based gardening services. 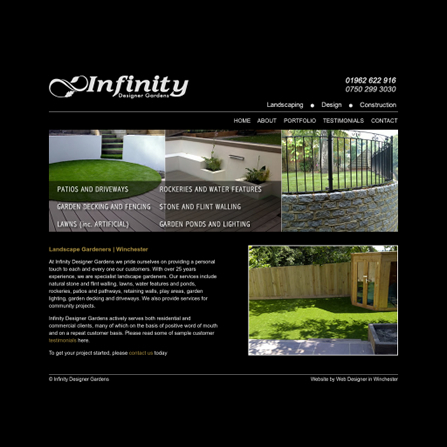 The website was produced in line with current branding and after a successful project sign off, Infinity returned to Darweish Designs for flyer and business card designs. 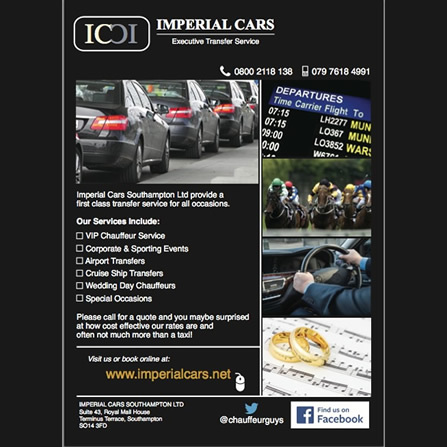 Delighted with their freshly revamped website, Imperial Cars Southampton, re-approached Darweish Designs with the request of having some promotional flyers produced. 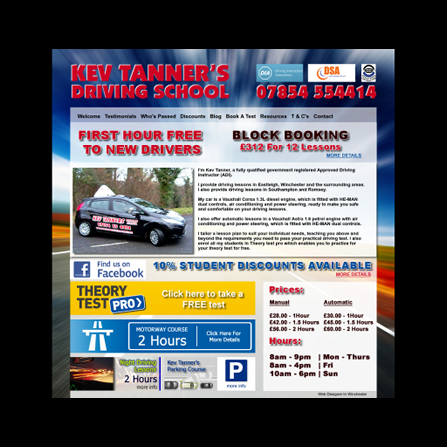 The flyers were designed in Adobe Illustrator and all print advise was provided. 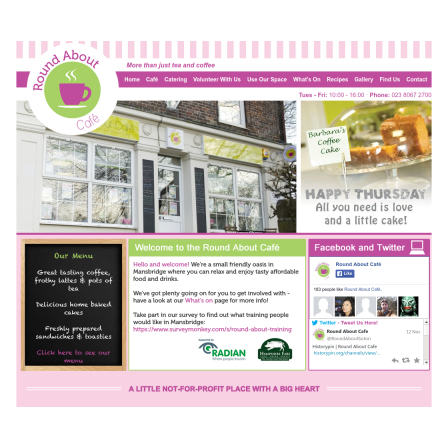 Radian Housing Group approached Darweish Designs to produce a website for their not-for-profit, community café. During the design phase it was vital to capture the atmospherics of the café and to ensure an easy to use navigation system was in place. It was additionally requested that the website be built on the Joomla CMS framework, allowing for easy Radian staff updates. 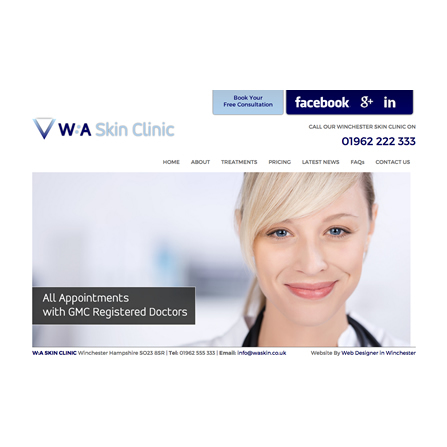 The site also benefits from facebook and live twitter social media integration. 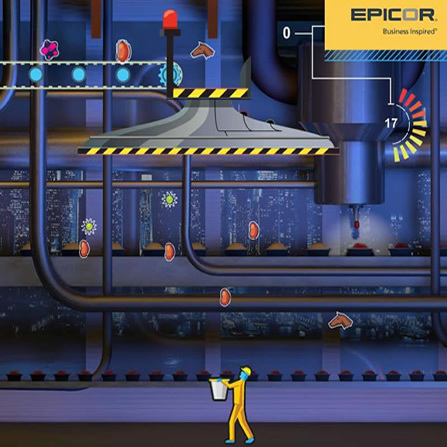 Working as a freelance supplier, for ModComms Limited (London based digital agency), the client was looking for a corporate game to be developed, that in fun way would enhance a marketing campaign aimed at manufacturers connected with the food supply chain. 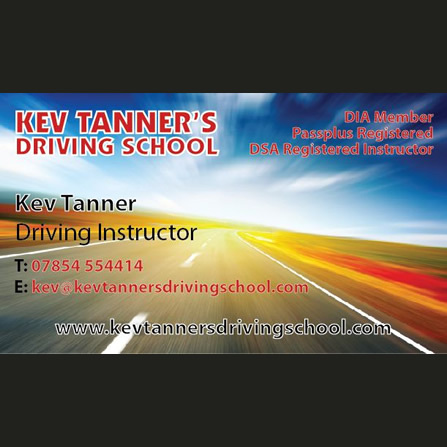 After a word of mouth recommendation, Driving Instructor Kev Tanner, came to Darweish Designs for a website design and build. Keen to promote his business on social media, the website benefits from a wordpress-to-facebook automatic publishing system. 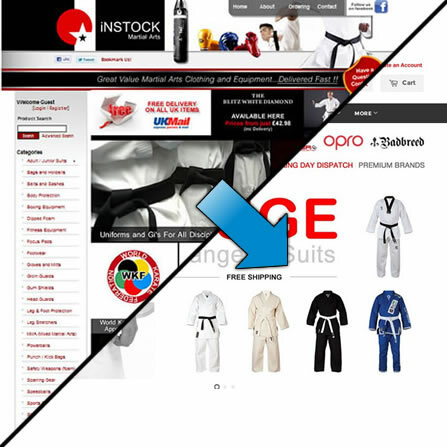 The website was built on the Joomla CMS framework, allowing for easy updates. 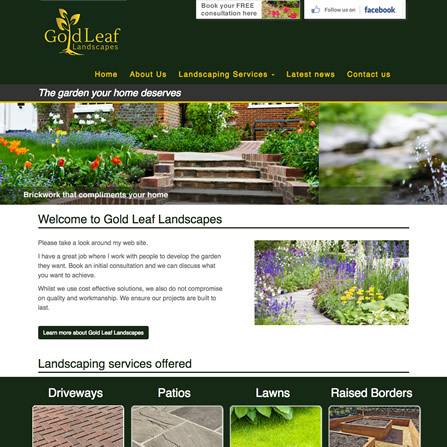 Recently the website has been made responsive to support mobile devices. Developed for one of Southern England's leading personal trainers, this static website was developed after taking a graphic designers Photoshop mock up and converting it to web format. 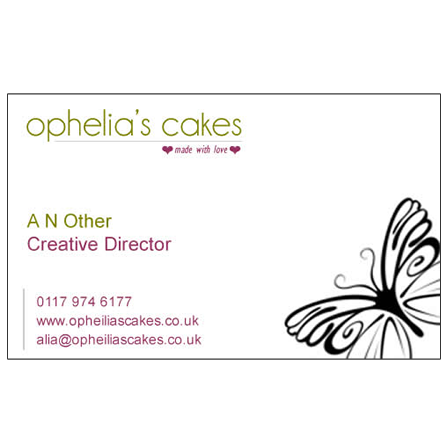 A simple business card design for Ophelia's cakes. Produced in Adobe Illustrator, this design was composed with the matching branding of the Ophelia's cakes website produced earlier in the year opheliascakes.co.uk. 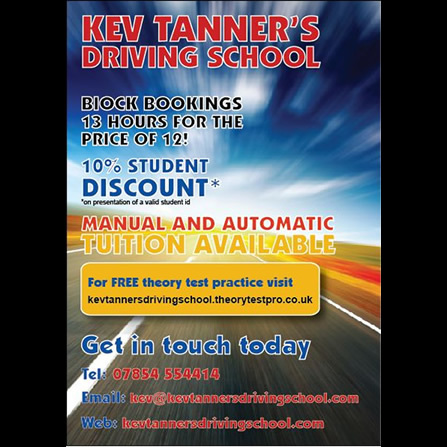 Video brochure supplier, the PitchPack launched in early 2012. 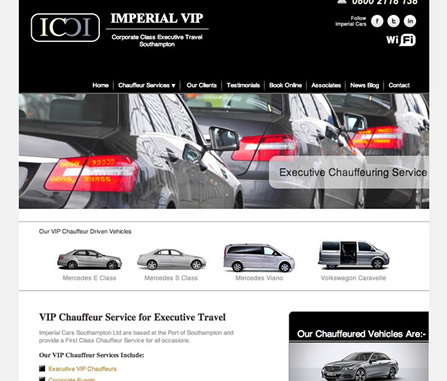 They required a wordpress driven website, matching their current branding guidelines. They wished to also display samples of video production via Vimeo embeds. Initially providing a theme template for wordpress, they required alterations and additional 3rd party wordpress plugins to be added to improve the overall functionality of the website. 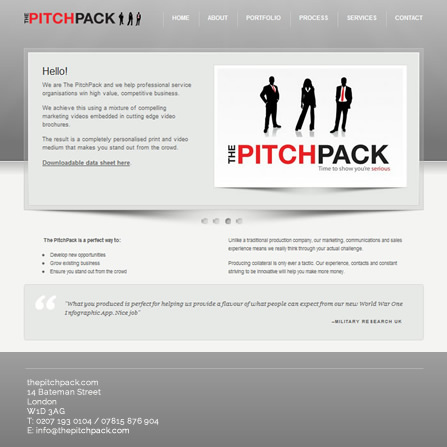 Later on in the year, the PitchPack returned for business card designs and Search Engine Optimisation. 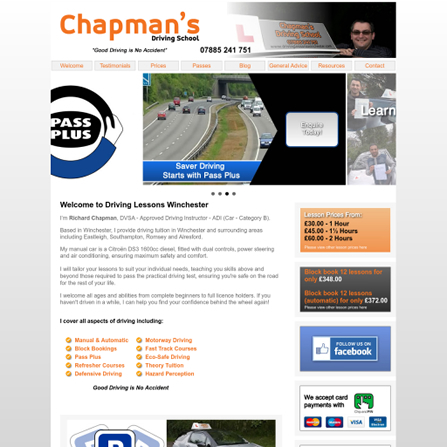 Chapman's Driving School has since become long-term clients of Darweish Designs and since the websites original build it has expanded with a additional custom CMS template pages, a wordpress blog, responsive mobilisation and design overhaul. 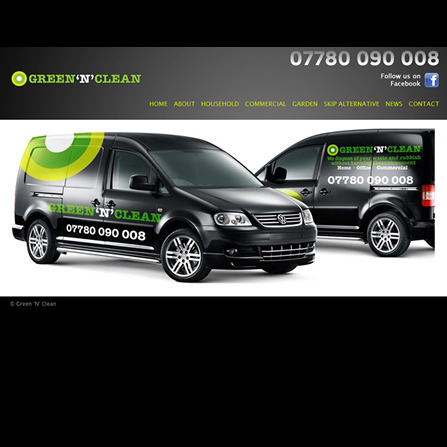 As a new start up business, based in Bristol, Green N Clean stated they were in urgent need of a website to promote their waste disposal business. The site design was mocked up quickly for the client using Adobe Fireworks and once signed off, was converted into a Joomla template. 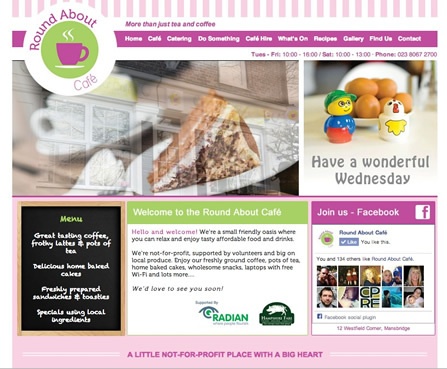 This home based, up start cake business was looking for a web presence in Bristol area of Clifton. The owners were keen to have an easy to navigate, online portfolio of cakes of which they could refer new customers they met at trade fairs, weddings etc. It was also a requirement to design them a new business logo. 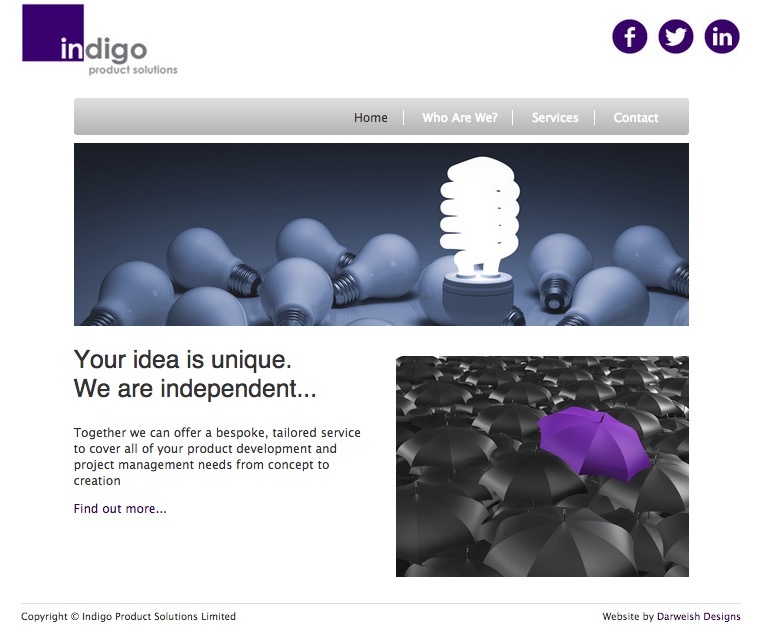 The site incorporated a clean design and a JQuery portfolio gallery. 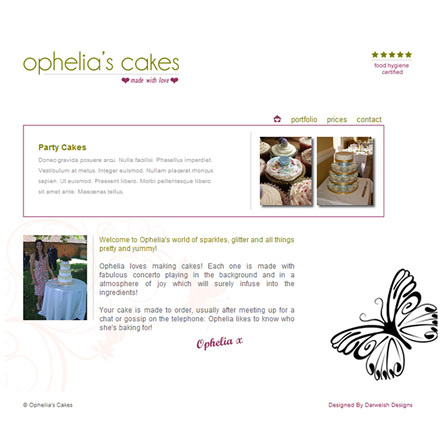 Ophelia's Cakes were delighted with their website and returned later in the year for new matching business stationary. 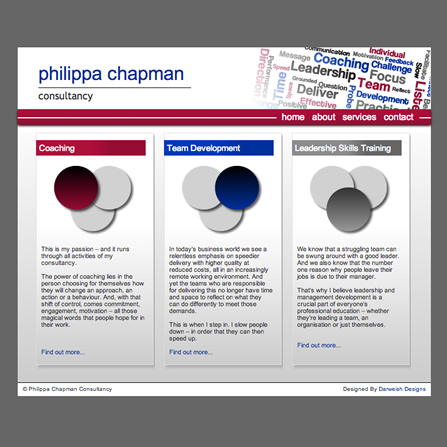 After viewing my work portfolio, Management Consultant Philippa Chapman contacted me with a request to meet to discuss her website requirements. After a brain storming session, we devised a layout, colour scheme and service unifying visuals that reflected her business. 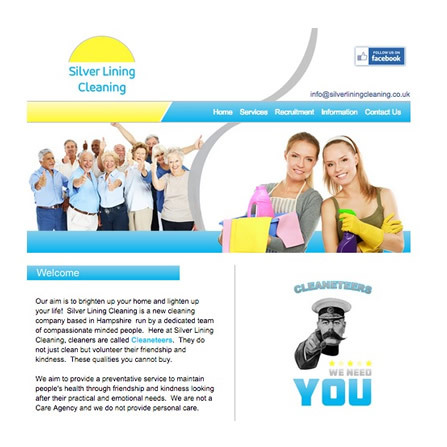 A mock up of the site was produced in Adobe Fireworks (as well as a logo) and once signed off by the Philippa, it was converted into HTML / CSS. Philippa was delighted with her website and is looking to have some business cards produced to match her website branding. 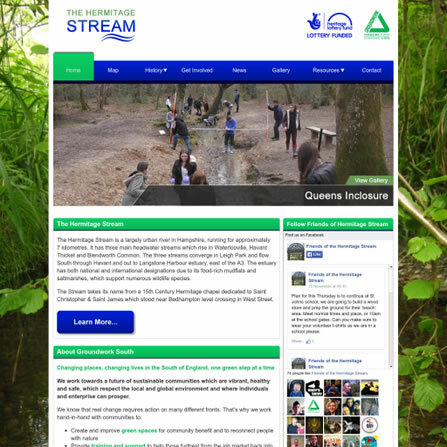 Based on a recommendation from Radian House Group, Groundwork South contacted Darweish Designs to request development of an accessible website that would encourage local community residents of Havant to become involved in The Hermitage Stream. The content managed website, utilises a live facebook feed, an educational interactive map and client managed educational resources download library. 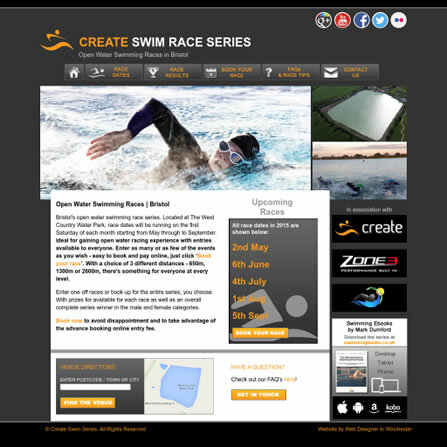 Create Fit returned to Darweish Designs in Early 2014 to request a website be built to promote swimming lessons for beginners and experienced athletes in the Bristol area. 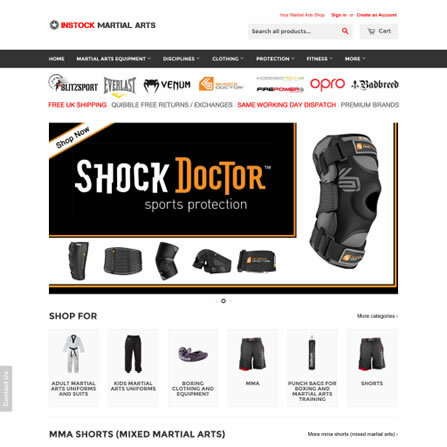 The websites benefits from a wordpress blog to allow for Create Fit's extensive knowledgebase articles of swimming techniques and advice. 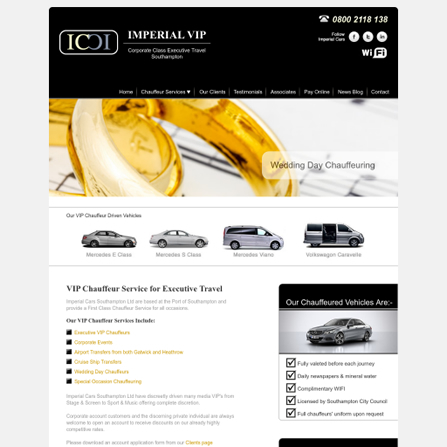 This microsite was built to support Imperial Cars Southampton core website www.imperialcars.net. 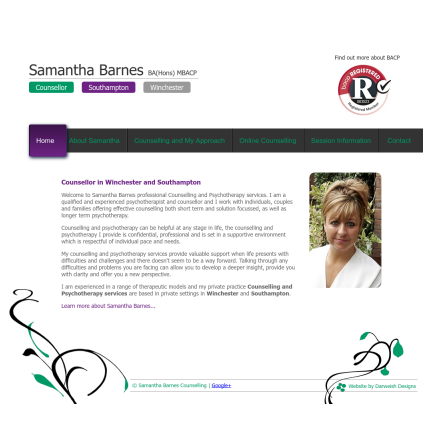 Sam Barnes approached Darweish Designs with a request for consultation, design and build of her Winchester based counselling business. To assist her search engine rankings, Sam requested a full SEO analysis of her competition, keywords and on and off page content. Sam Barnes has now become a regular client and as has enjoyed much business growth and success as a result of her online presence. 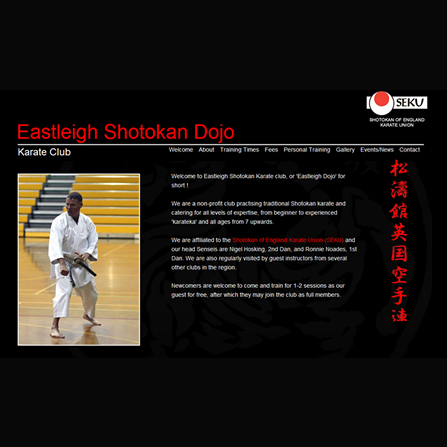 An electronic presentation built using the Prezi Flash presentation platform. The presentation was successfully delivered to the London Communicators Exchange Networking Group. As an upcoming Singer, with multiple record label contract offerings, Nina Schofield's management approached me with request of redesigning her current website. After meeting with Nina and her team it was determined that a 'woodland' theme be integrated into the design to coincide with the release of Nina's new album. It was also a strong requirement that the website integrated social media in the form of YouTube video galleries, twitter feeds, and facebook link up. Also a wordpress blog was required for regular postings by Nina, of which latest posts were integrated to the home page. Nina also sold a lot of her music tracks via ITunes so this was integrated into the website along with a track list sample player. 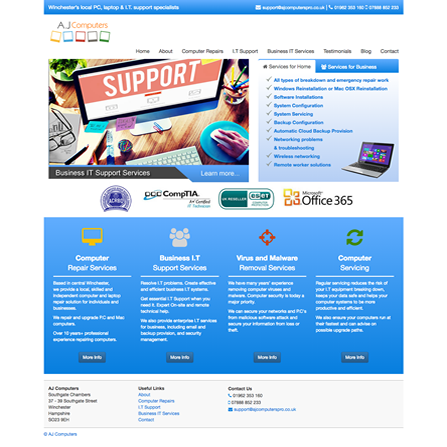 The final site was built within the Joomla CMS framework. 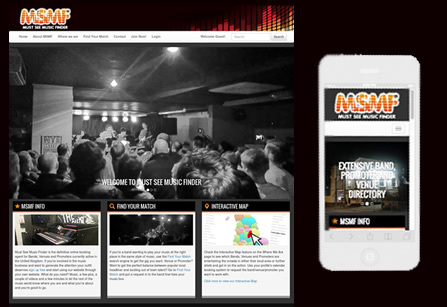 This site has since been redeveloped by her new record label, as it was advised would happen when we started the project in 2010. 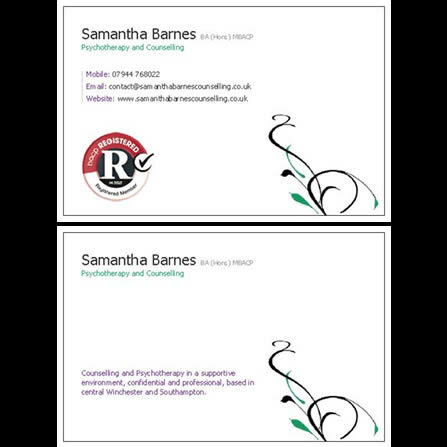 Delighted with her website design, Samantha Barnes Counselling returned to Darweish Designs to have double sided business cards produced. 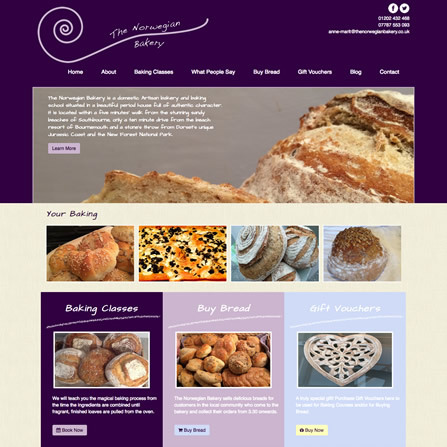 When London Market Dynamics approached Darweish Designs they already had website design mocked up. 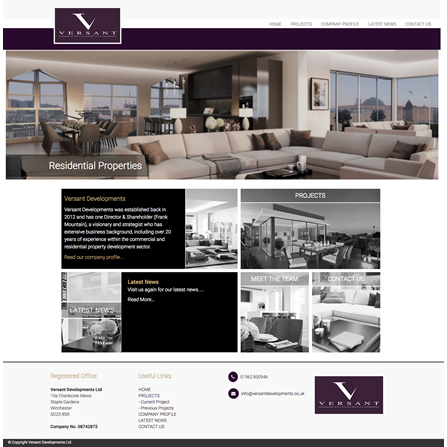 After consultation the websites design mock up was coded up and built upon a content management system. 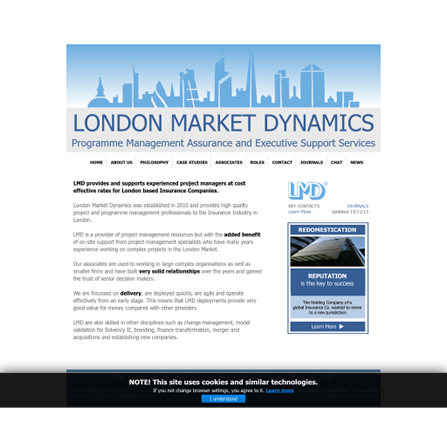 Since our initial project, London Market Dynamics has worked closely with Darweish Designs on various online projects, presentations and applications. Logo produced for Sync Presenter. 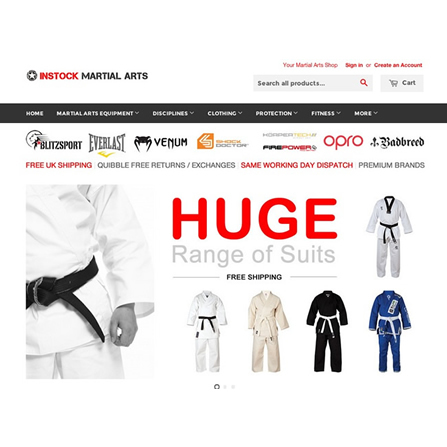 2014 Logo re-design for Instock Martial Arts. This logo was produced alongside the rebranding of this successful online trader. 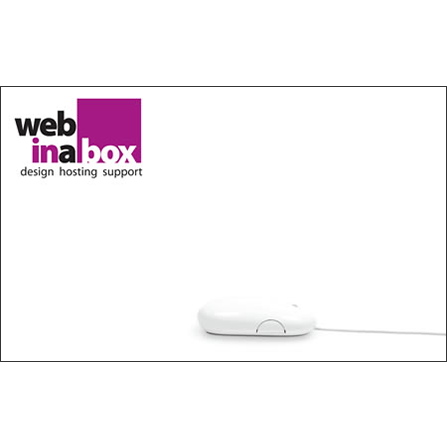 Web In A Box, a web design and digital agency, had requirement for it's first advertising brochure. With planned distribution to Southern commercial business and public sector organisations, I was responsible for it's design and content. As one of my first print design projects, I had the challenge of learning key aspects of print design such as the printing process and appropriate resolution, use of Adobe Illustrator, document set up (CMYK, print bleeds) and layout. 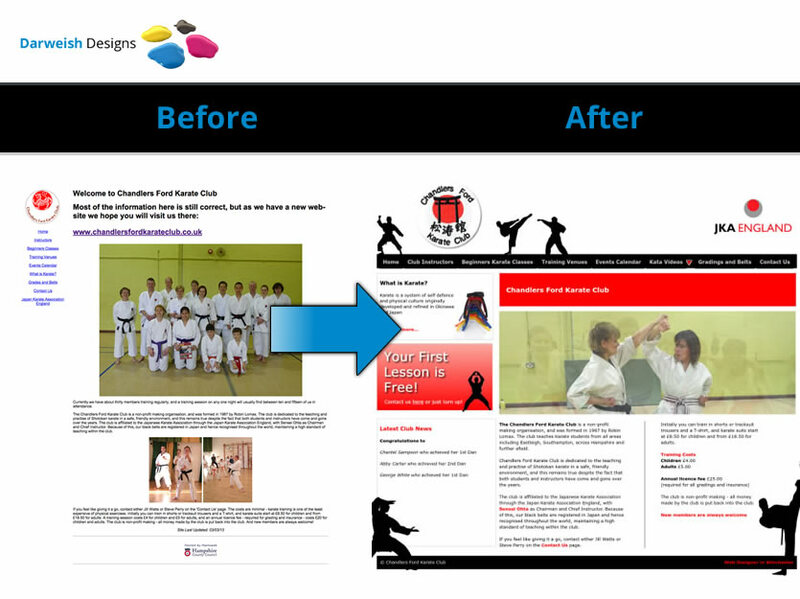 Chandlers Ford Karate Club approached Darweish Designs with concerns that their current website was dated and unappealing to new and current students. 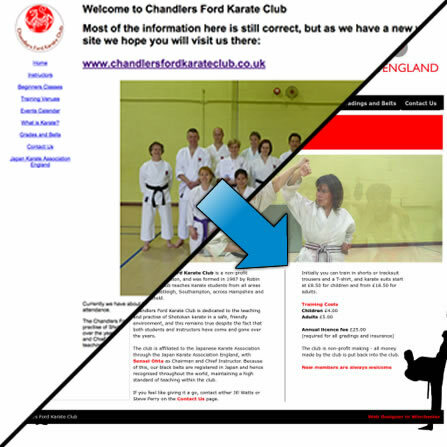 They wanted a website that could be used as source of information for new students looking to learn Karate, as well as provide Karate Kata videos, grading events, and club news. 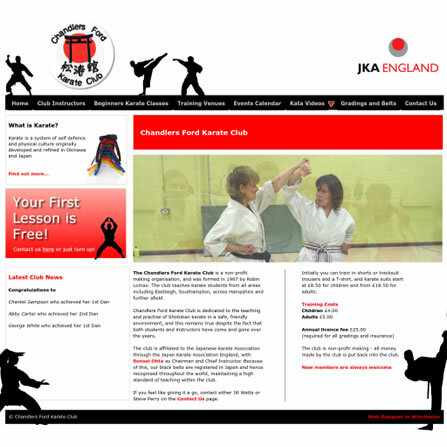 The club members were delighted with their new design and the website has enjoyed much success and has been key in bringing new members. 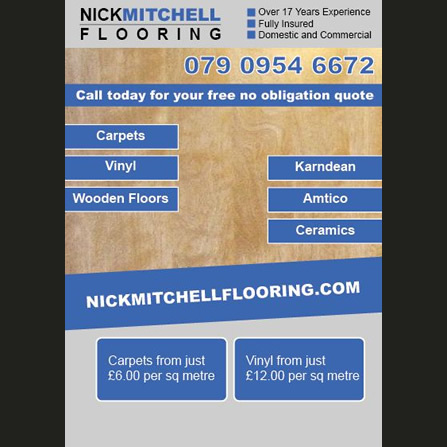 Recently the website has been made responsive to support mobile devices. As one of the UK's leading swimming instructors, Mark Durnford of Create Fit, expressed an interest in having a website built that would allow them to promote their series of interactive e-books. It was a desire that these eBook be sold on the Amazon, iTunes, Google Play, and Kobo. 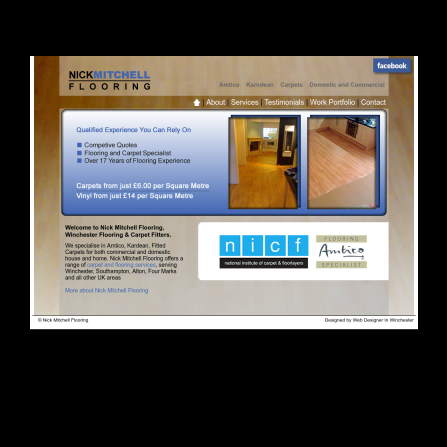 Logo designed Nick Mitchell Flooring during their 2012 rebrand. Taking my design inspiration from visiting their new facilities, I worked closely with the center manager and marketing manager to product suitable layout and content mock-ups. Once these were approved, I moved into the build stage meeting their content management requirements, which allowed for a non-technical member of staff to easily pick up. 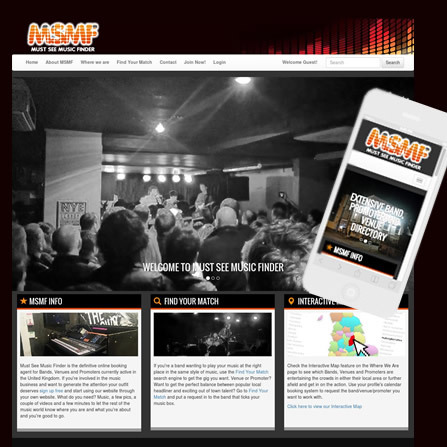 Must See Music Finder approached Darweish Designs with the intention of setting up an online band / venue / promoter booking directory. 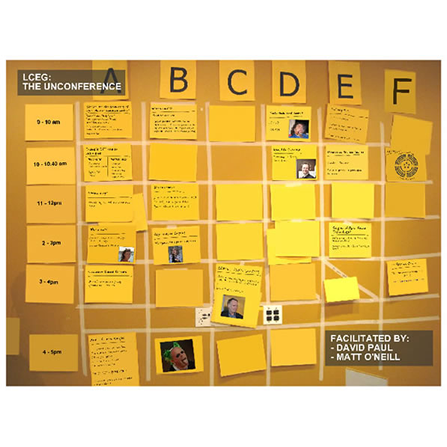 It was to have social networking functionality and was described as the owner as "The Match.com of Music"
The highly functional website allows for profile registration, music and video uploads, band / venue / promoter searching, an interactive onine map for searching, calendar viewing and live bookings. It is expected in the near future to offer band merchandise sales via it's own online store. 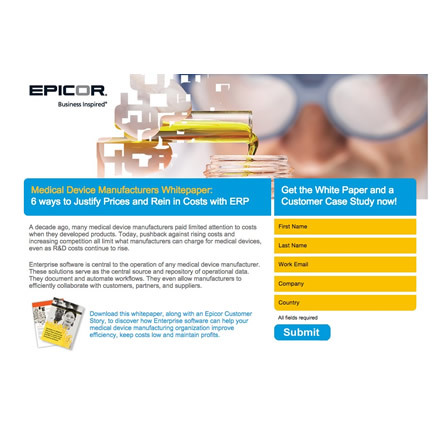 Working via Modcomms Limited, this microsite developed for Epicor allowed for white paper downloads once the user had securely submitted their information. For marketing purposes, data was captured and accessible via a secure administration area. 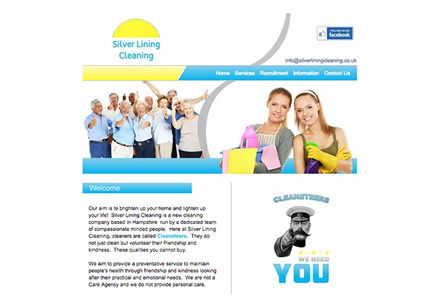 The website had two initial goals 1) To promote service offerings 2) To act as a recruiting platform for new cleaning staff. 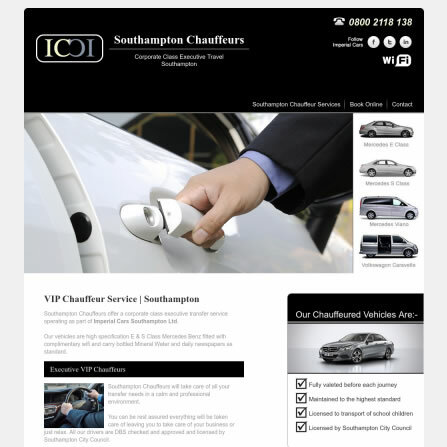 There website was built to specification and the business is currently in the process of a full launch, hence no live preview, however a full preview of this website can be seen upon request. 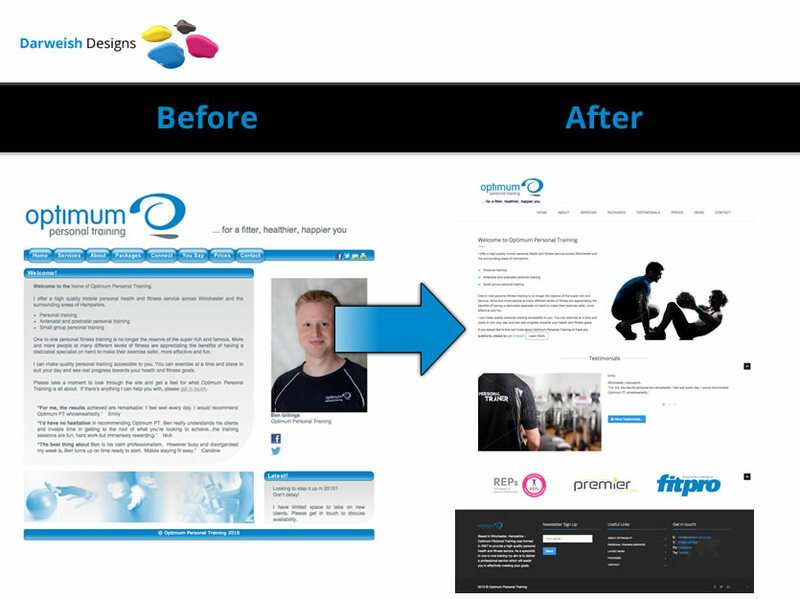 Long term client of Darweish Designs, Create Fit returned with request to have their core business website mobilised. The core website was originally built back in 2011 by another web developer, but was not built with mobile platforms such as tablets, smart phones etc in mind. Due to Googles preference ranking to websites that support mobile devices (when searched for on a mobile device), it was requested that the website be converted to mobile design. 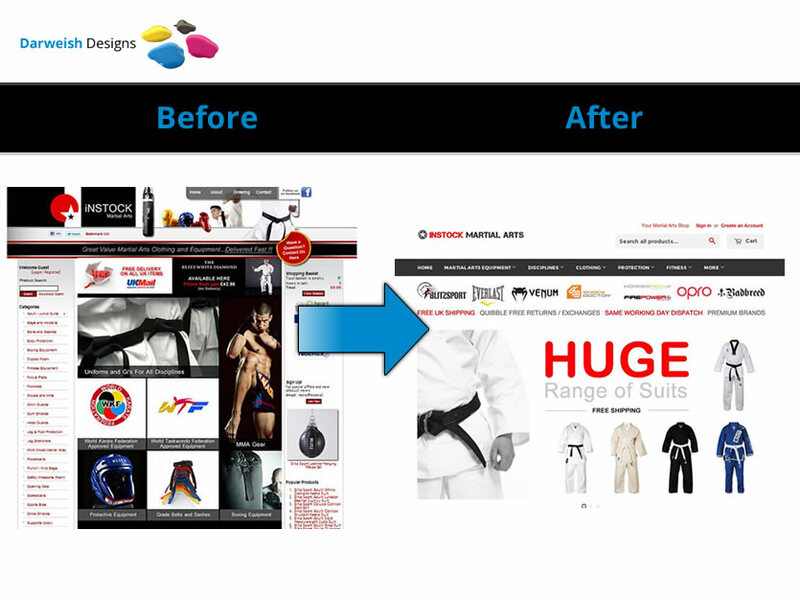 The task was undertaken by utilising Twitter Bootstrap and in places re-writting some of the original websites code. As a successful result of the project, Create Fit have now requested that all their websites be converted to support mobile devices. To view the mobile website, please visit the live preview below and then narrow you browser window to see the design "respond". Alternatively please view on a mobile device.